World Egg Day 2018 is here, and this is how we’re celebrating. A day simply dedicated to eggs – scrumptious. 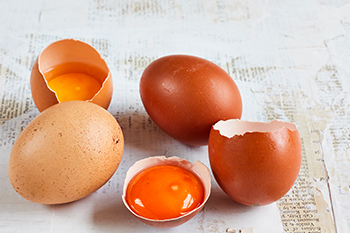 Tomorrow we will be joining the international celebration of one of the world’s favourite kitchen staples to share just how fabulous eggs are – nutritious, versatile and simply delicious. We’re starting the day with one of our lovely ambassadors Nicola Millbank (Milly Cookbook) as she rustles up a beautiful breakfast for London foodies, representing the different ways eggs are enjoyed worldwide to start the day. You can follow the morning from 8am on our Instagram stories. We’re also giving you the chance to enter our World Egg Day competition. All you have to do is simply follow us on Instagram and like the competition post to enter. Head over to our Instagram page (@clarence_court) tomorrow to find out more. In between all the fun and frolics, we will be sharing an indulgent recipe or two to dip in to over the weekend. And if you can’t wait ‘till then, visit our Recipe page to browse our tempting selection of brunch, lunch, dinner and desserts.